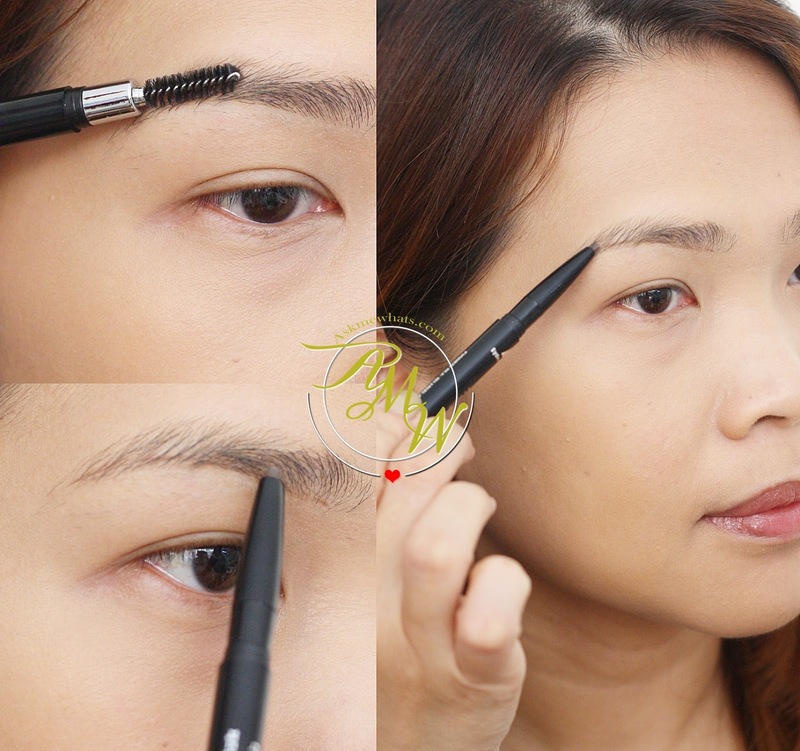 Thankfully, I've found another inexpensive brow pencil alternative to those who can't seem to find one that they would call "my daily brow bestie". Read further because this pencil impressed me so much I actually can't wait until the end of this post to say so! But for once, I can let the cuteness (or non-cuteness) slide because the product itself speaks for itself! NO stains,NO smears. Mona Lisa Eyebrow Pencils are meant to give you a all-around natural look. Very natural to look at, I can actually use this alone without the need for brow mascara and my brow hairs appear tinted. The texture is just right, not too soft or hard. Waterproof, sweat-proof, smear-proof. I actually wore this during shower and it stayed! With that test, I am confident in saying, the product lasts the whole day! Not readily available in stores like most brands. One of the best brow pencils I've tried to date! It won me over in terms of lasting power and how natural it appears on me. Coffee Brown would work for most Filipinas! But feel free to look around online stores for swatches. If you prefer a more defined brows, as much as I don't like to create an outline, this pencil actually works even if you create outline as the effect is still as natural. Draw with short brow hair-like strokes for a natural finish. If you have extremely oily skin, pat or set the brows with translucent powder. Anyone who uses brow pencils should try this! Brush brows using spoolie before drawing. Using the tip of the brush, gently create a border, try not to draw a straight line but short hair-like strokes instead. Once you're happy with the border fill in the inner portion and always step back to check the result. I like how the pencil can tint my dark brows a bit and I can actually get away wearing this alone. In most cases, I need to use a brow mascara because most pencils are too dark for my liking. Can you see how having good brows make a huge difference? It can lift your face and make you look more youthful! Have you finally tried Dearberry products? Which particular Dearberry product/s would you like to try first? Not a brow pencil person but I am sold on this. di ba? I didn't expect this to be anything! Pero galing!